It is a well-known fact that pepper benefits our health by improving digestion and preventing the formation of intestinal gas. Besides, pepper (known as Kali Mirch in Hindi) is beneficial in reducing inflammation associated with rheumatic pains and arthritis. In addition, black pepper home remedies relieve sinus and nasal congestion. This warm spice is mostly used as dried fruit (peppercorn), tincture and essential oil. It is native to India. Moreover, the medicinal herb has a strong, characteristic flavor and id often used for seasoning bland foods. It comes in three varieties, that is, black, white and green pepper. White pepper, in particular, is the most pungent. 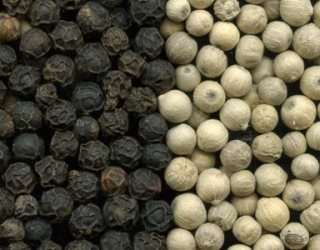 India and Indonesia are the major producers of black pepper in the world. It is also grown in Thailand, Vietnam, Malaysia, Sri Lanka, China and Brazil. Tropical regions are considered favorable for its growth. Pepper or Kali Mirch belongs to the Piperaceae family. Chili pepper, jalapeno pepper, bell pepper, cayenne pepper, etc. fall under the genus Capsicum. Pepper (Kali Mirch) has carminative, analgesic, anti-inflammatory, immunomodulatory, antiseptic, laxative and diuretic properties. Its antioxidant properties help neutralize free radicals in the body and enhance the action of other antioxtants such as catalase, glutathione, vitamin C, vitamin E, etc. 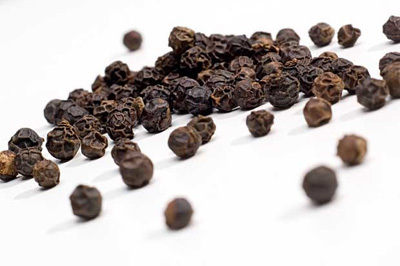 Being a gastric stimulant, black pepper helps cure bloating, flatulence, diarrhea, cholera, colic, lack of appetite, nausea, and other similar health issues. Besides, it is believed that this culinary spice can assist in counteracting cancer development. The main component present in this herb is a phytochemical called piperine, which impart it the characteristic spicy taste. Interestingly, when inhaled piperine present in this spice acts as an irritant in the nose and causes sneezing. Nevertheless, it is this compound that is responsible for creating the numerous health benefits of pepper (Kali Mirch). It increases the bioavailablity of phytochemicals present in other spices and also works as a central nervous system depressant. In addition, pepper serves as a good source of calcium, magnesium, potassium, iron, manganese, vitamin C, vitamin K and dietary fiber. Plus, this warming herb boosts blood circulation. When used in an appropriate way, it can help heal fever as it increases perspiration. Moreover, pepper can be used for facilitating weight loss as it helps in the breakdown of fat cells. Apart from this, black pepper essential oil can be used in aromatherapy for its anti-spasmodic qualities to reduce aches and pains. 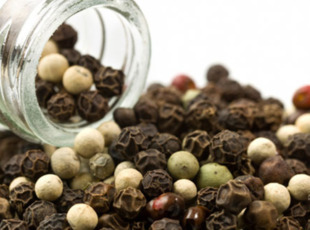 Black pepper is also believed to stimulate the exocrine and endocrine systems. Furthermore, it strengthens the mind and aids in the treatment of Epilepsy. When used through an aromatherapy diffuser, it helps reduce respiratory symptoms related to cough, cold, asthma and bronchitis. • Pepper benefits in getting rid of cold. To prepare this natural cure, add 2-4 black peppercorns (ground), ginger, crushed cloves and a few holy basil leaves in a cup of water and let the solution boil. Finally, mix some lemon juice and honey in the solution and drink it. Alternatively, you can add the above-mentioned ingredients in your tea while it boils. • Taking a quarter teaspoon of black or white pepper mixed with honey and ginger juice serves as one of the most effective pepper home remedies for cough relief. Follow this natural treatment every two hours. • When dealing with asthma, mix equal amounts of black pepper, long pepper, and dried ginger, all in powdered form and take one teaspoon of this natural medicine along with honey. • Those suffering from fever caused by malaria can have an infusion prepared by boiling two cloves of garlic and a pinch of pepper powder in half a glass of water. You can mix honey afterwards. The procedure should be followed three times in a day. Gargling with this solution helps ease sore throat, pharyngitis, tonsillitis, etc. • When suffering from a blocked nose, sniff a mixture of finely powdered black peppers, cumin, cardamom and cinnamon to induce sneezing. • Mix equal quantities of black pepper, ginger, and rock salt and grind the mixture. Add one-third teaspoon of the mixture in a glass of buttermilk and consume this home medicine to relieve indigestion immediately. Moreover, having a mixture of pepper powder and ginger juice after a meal is highly beneficial in healing this problem. • Taking a tablespoon of jaggery mixed with half a teaspoon of pepper helps increase appetite and cures digestive problems. • Massaging black pepper essential oil (mixed with carrier oil like sweet almond oil) on affected area is useful in reducing muscle soreness and arthritis. • Another pepper (Kali Mirch) remedy for dealing with arthritis involves makes use of three teaspoon of pepper and six teaspoons each of dried ginger and caraway seeds. You need to grind this mixture and take half a teaspoon of the fine powder with water about three times in a day. • Applying a mixture of clove oil and a bit of pepper helps in the natural treatment of toothache. • Massaging the gums with a mixture of equal amounts of black pepper and fine salt helps cure gum inflammation and pyorrhoea. • Cook pepper powder in some clarified butter (ghee) until the mixture gets charred. Apply the resultant formulation on skin affected by skin issues like Eczema, Scabies, Urticaria, etc. • Regularly drinking a cup of water mixed with two teaspoons of lemon juice, one teaspoon of honey and a quarter teaspoon of black pepper powder works as an effective home remedy for weight loss. Green peppercorns can be pickled in vinegar or brine. This procedure is equally popular for preserving red peppercorns as well. 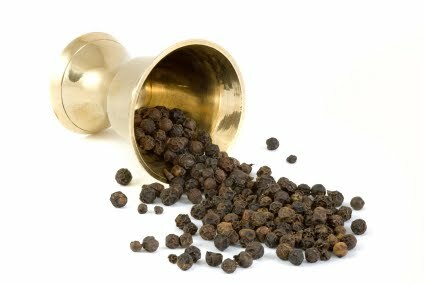 Besides, the active compound present in black pepper helps repel insects and mosquitoes. Inhaling black pepper oil is believed to reduce withdrawal symptoms that arise when you quit cigarette smoking. Those who are about to have an abdominal surgery are suggested to avoid pepper or Kali Mirch for a few weeks because it tends to cause irritation in the intestines. Besides, excessive use of this spice can stimulate the kidneys. When using black pepper essential oil on skin, make sure it is mixed with any carrier oil, or else it may cause redness on skin. Moreover, this oil should not be used on varicose veins. In addition, although Kali Mirch or black pepper benefits in the natural treatment of several ailments, it is suggested to limit the consumption of this warming herb during pregnancy. 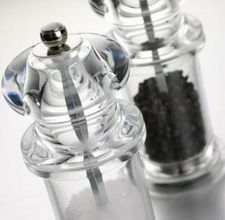 Also suggest the right time to take black pepper to reduce weight!